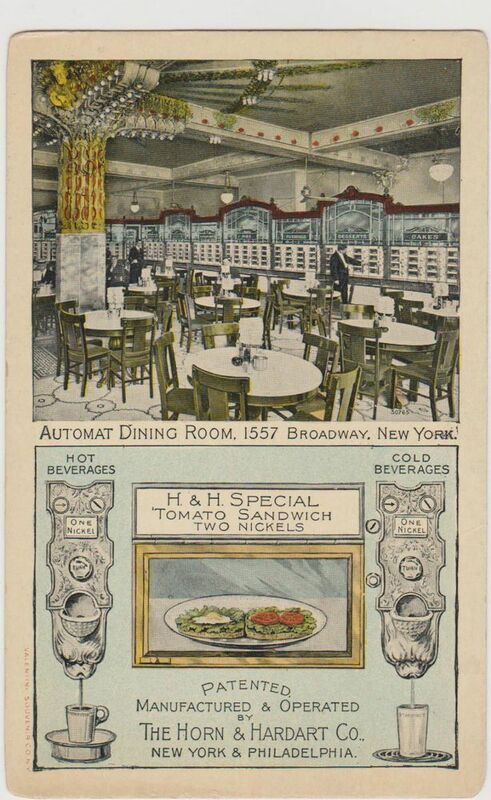 The Horn & Hardart Automat was infamous. 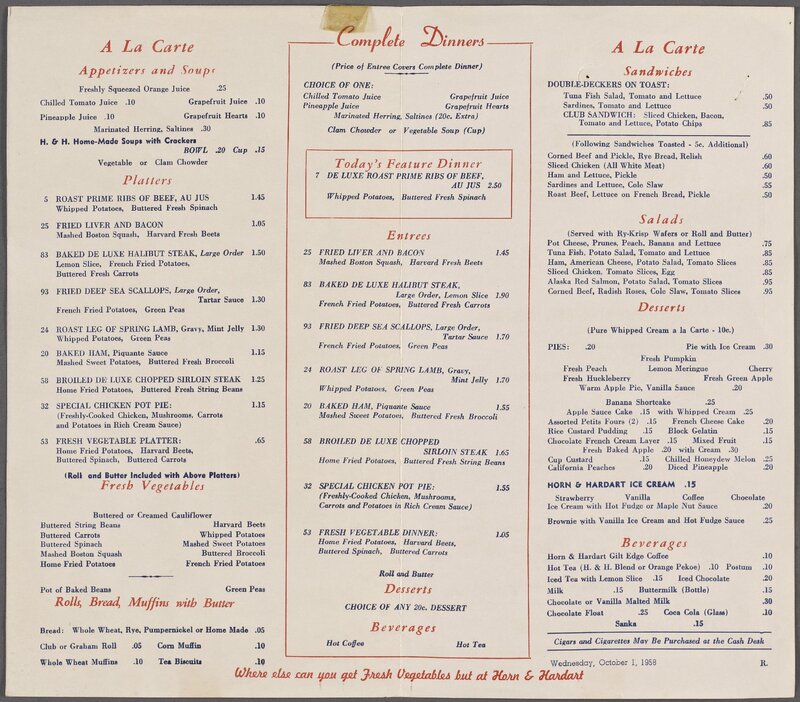 The Automat was embraced by working men and women with little time to spare. The automat is the perfect symbol of the machine age. Horn & Hardart opened the doors to the modern world. Sixty years later, Horn & Hardart closed its doors and ironically, so did many of the potteries. Through the years, Horn & Hardart made its way into movies. I was surprised to find the following clip from The Catered Affair. Look carefully, they are using Marion. 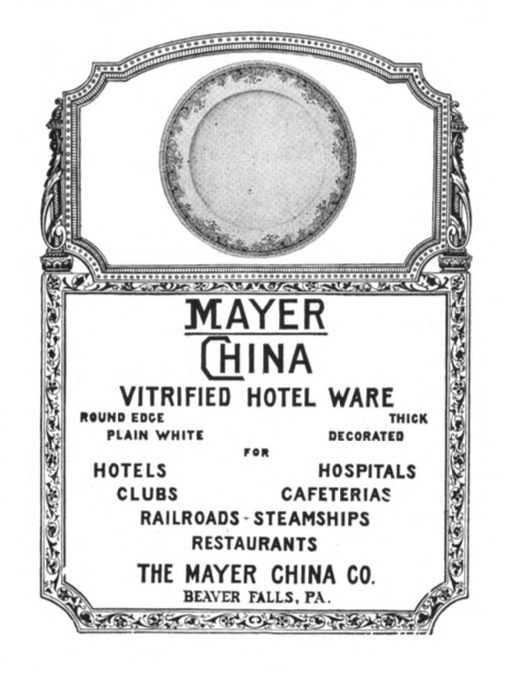 We just found quite a few stacks of Mayer China. I am amazed that they are still bright and shiny. Almost bullet-proof. 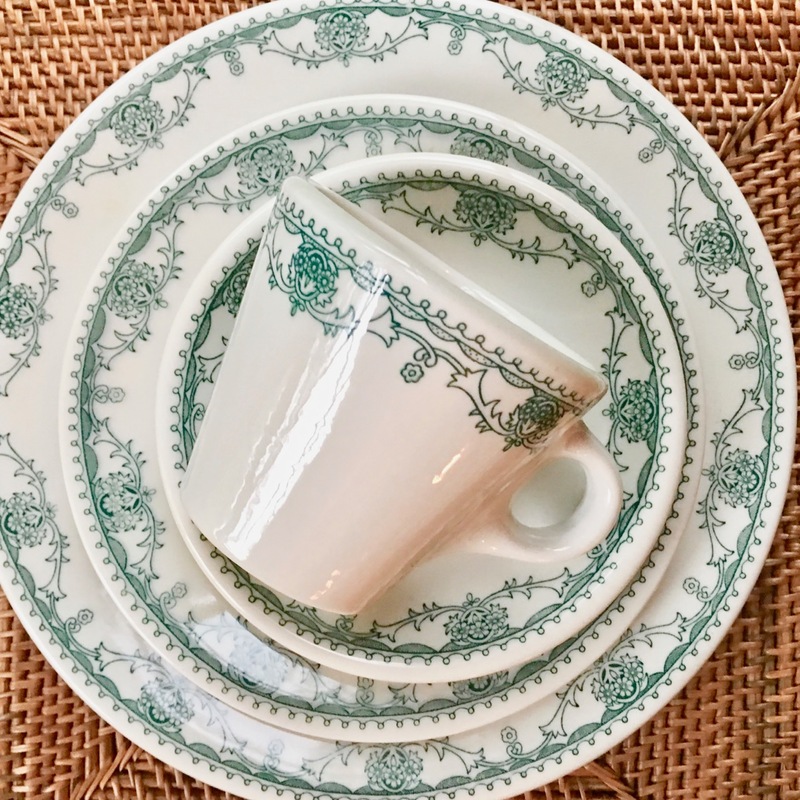 When these dishes were produced, the cost of a cup of coffee was 5 cents! It is funny to read the menu. Funnier still to begin to understand how old I am – living in a post-modern world in the age of the computer. Drum roll. . .. a place setting of Marion.